I am so excited about today’s post…I saw these liners on Tati’s YouTube and have been wanting to try them out sooooo badly! I finally caved on my “no buying” streak (let’s be real, I have issues and just can’t handle that) and went to Ulta. There I was mesmerized by the 10 different shades. I really wanted to sweep all of them up…but they are $18 a piece so I had to slow my role… I am not made of monayy. After standing there for about 20 minutes, I narrowed it down to these three colors: Private (navy), Bubbly (rose gold), and Fish Net (black). If figured these were the basic colors that I would use most. The packaging is nice, sleek and shows the pencil right on the outer shell, so you know what to expect inside. These are non retractable so if you don’t have a sharpener, you should pick one up as well. They claim to last 24 hours but be bendable on initial application until they dry down. These are formulated without parabens, sodium lauryl sulfate, phthalates, fragrance, talc and alcohol. The actual pencils are nice, slim and fit nicely in the hand. Here are the swatches on my arm. They are super creamy like butter. Ugh its so nice gliding these on because of the high pigmentation and the no tugging factor. They just glide right on. The colors are so beautiful and so opaque. If you haven’t used it yet there is no reason to sharpen this, unless you want a finer point. To sharpen you need a pencil sharpener, which can be a makeup one but I have used a regular pencil one and it works just the same. Take the pencil and apply along the lash line or in the inner rim in short strokes. You can mix the colors to create cool and graphic looks. HOLY HELL I AM IN LOVE…who needs a man when you can have good makeup! LOL this is sooo creamy, glides on so easily (which is perfect for your inner rims of the eyes) and stays on so long without smudging! It is so pricey, yes but you get a ton of product and it is extremely high quality. If I was rich, I’d buy every single of of them. I would absolutely suggest at least grabbing the black one for every day use! Have you used these magical pencils?? Let me know! Have you tried wearing these all day? 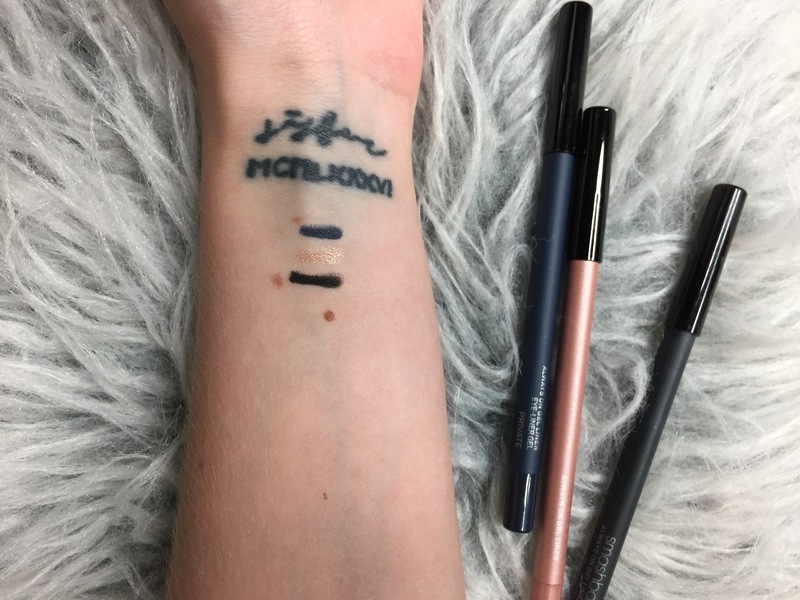 I’m always on the hunt for a good liner that lasts all day on my waterline! Yeah these last all day long!! All day! Even gone to sleep and still on the next morning! Best liner hands down!! I know that it is non-retractable, but can you use a sharpener to get more product out? It will sharpen just like a wooden one! Wait these have to be sharpened? I searched the internet because it seems like they should be retractable. I’m disappointed now cause a pencil sharpner seems like it will ruin most of the product. Hey!! I sharpen mine and they don’t get ruined! Hey! I use the NARS sharpener! It’s got two different sized sharpeners in there which I love! I can not get mine to sharpen with either kind of sharpener, it just seems to tear it up. That is super strange!! Mine sharpens just fine! Yes I have the same question! I can’t seem to figure out how to get more product from mine! I use a pencil sharpener and it works for me! Unless they changed the packaging since I purchased them. I love this gel eyeliner but I cannot find a shop in that sharpens it to a point that usually breaks or or shopping is very badly! Smashbox needs to do something about this! I love the product, texture and colour but am extremely disappointed when I try to sharpen with a pencil sharpener. The lead/gel just breaks off leaving nothing ….I paid $49 for this pencil and just keep loosing all the product. Probably won’t buy again…..